When it comes to health careers, SVSU is setting the bar for cultivating a community of learners who are passionate and determined to create marketable professionals with the ability to grow and adapt to a changing medical climate. We’re proud to prepare students for careers across the health care industry in public health, emergency management, gerontology, neuroscience and healthcare administration. At SVSU, health science students receive an integrated blend of classroom, laboratory, internship, study abroad, experiential learning experiences. Health Science majors at SVSU, become role models in their chosen professions. Uniquely designed programs shape our students’ futures assisting them in becoming professionals that other members of the health care team are proud to work with. Whether you plan to go to medical school or want to improve health care from an administrative perspective, your story of impact begins when you join the Cardinal community. Apply today. From the US healthcare system to the principles and policies of public health, the professors at SVSU equip you to understand health and human services on the local, national and international levels and empower you to advocate within those systems. 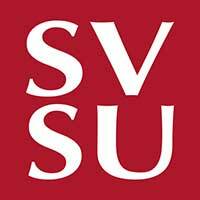 If you want to explore the unique struggles of diverse populations in urban and rural communities, SVSU offers the courses and research initiatives that will prepare you to chase your passions. Student Jarrod Eaton accompanied faculty to Nepal during the 2015 earthquakes. In Nepal, theories from the classroom were brought to life in vivid color, and Jarrod decided to dedicate his life to caring for those systemically disadvantaged in their health care. Jarrod’s most formational experiences happened beyond the classroom: both in Nepal and at World Congress on Public Health and Nutrition in Rome, Italy. Now, he’s continuing that story at the University of Michigan School of Public Health. At SVSU, your education entails field work, study abroad and faculty research. SVSU’s study abroad trips are specifically designed to offer students opportunities to apply their learning: from disaster relief to experience with different countries’ health systems. Our faculty are widely published, have presented internationally, have received numerous research grants, and pride themselves on including undergraduate students in their research projects. We customize your fieldwork experience to fit your passions and goals. Here you’re a dreamer, advocate, researcher and professional working with fellow scholars and professors with a passion for health care. If you’re majoring in health science, you are entering a profession with high need and high opportunity. This is a field where you can go anywhere, and SVSU will serve as a strong foundation in preparing your for your work, whether in public health, policy, hospital administration, a service profession, research or medical school. Health science gives you a broad set of courses to help you determine which career fits you best.